Kraken Virtual Reality, Central Florida’s first VR roller coaster, and a new Dolphin Nursery are coming to SeaWorld Orlando in 2017 as part of $175 million in new and upgraded attractions recently announced for SeaWorld’s American parks. SeaWorld Orlando, along with the other SeaWorld parks across the country, will be adding new and enhanced attractions for 2017, according to the company’s announcement this morning. SeaWorld will debut its first digitally enhanced ride experience as the Kraken roller coaster is transformed into Kraken Virtual Reality at SeaWorld Orlando – a virtual reality (VR) coaster experience. This thrill ride will be the only VR coaster experience in Florida and guests will embark on a deep sea mission alongside sea creatures inspired by extinct and legendary animals of the past, including the mighty Kraken. Six Flags has introduced virtual reality roller coasters at many of its parks recently, but this will be the first VR attempt for SeaWorld. In addition, SeaWorld Orlando’s Dolphin Nursery will become more interactive in summer 2017, giving guests the opportunity to get up close to mother and baby dolphins in new ways. Large-scale acrylic windows will be created offering better guest viewing, including multiple levels to give kids a face-to-face perspective with baby dolphins. To facilitate animal care, new slide out areas and lifting floor will allow for easier access to mom and baby for the veterinary and animal care teams. And new multi-purpose digital displays will allow SeaWorld educators to share information about dolphin behavior, biology and conservation by interacting with video from underwater cameras, educational content and animal care videos. New foods and seasonal entertainments will also be added to the park. SeaWorld Orlando’s music and food events will expand to a total of 14 weekends starting in February 2017 as part of the Seven Seas Festival. Inspired by street food from Asia, the Caribbean, South America and the Mediterranean, this expanded festival will bring new culinary offerings and a variety of international, local and seasonal craft brews to the park. Flamecraft Bar, a new dining location adjacent to the SeaFire Grill along the waterfront area, will open next summer with 16 seasonal craft brews and a new menu. An entirely new dedicated summer show will debut in the Nautilus Theatre next Memorial Day weekend. And for this holiday season, beloved Christmas character Rudolph the Red-Nosed Reindeer and friends, including Clarice, Bumble, the Abominable Snow Monster and Yukon Cornelius, and Rudolph themed attractions will be making their debut as part of the 2016 Christmas Celebration at SeaWorld Orlando. Rudolph & Friends will return for the 2017 season with additional Rudolph the Red-Nosed Reindeer-themed experiences. Finally, a new end-of-day-spectacle called Electric Ocean will debut next summer at SeaWorld Orlando and San Diego. As the sun goes down, the ocean will come to life with bioluminescent lighting, music and pathway entertainment. Next door at SeaWorld Orlando’s sister water park, the Aquatica Pass Member Pavilion will open just in time for spring break 2017. The exclusive pavilion will feature concierge service, complimentary sunscreen, a private entrance to Banana Beach, private animal encounters and additional offers. Elsewhere in Central Florida, Busch Gardens Tampa will add The Wildlife Docs: Live, based on stories from the Emmy-nominated weekly television program. The immersive show will feature live animals, video production and live ambassador presenters performers in the park’s Stanleyville Theater. Outside of Florida, Wave Breaker: The Rescue Coaster is coming to SeaWorld San Antonio in summer 2017, launching a new generation of coaster which will be the first of its kind in North America. 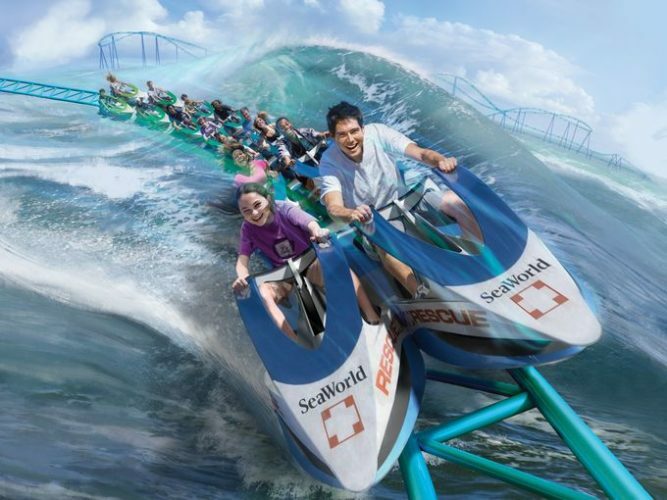 Wave Breaker: The Rescue Coaster boasts a unique jet ski-style car design, and engages riders in a straddled seating position. The design will allow riders to lean into a series of banked and serpentine turns, and grip the handle bars as they race over hills designed for maximum airtime, and a pair of high acceleration launches. Inspired by the Emmy award-winning program, Sea Rescue, the coaster enables riders to feel what it’s like to race alongside SeaWorld’s heroic animal care team and veterinarians as they spring into action at a moment’s notice to help rescue animals in distress. The queue line experience will tell the story of a rescue mission and invite guests to become involved in helping protect animals. 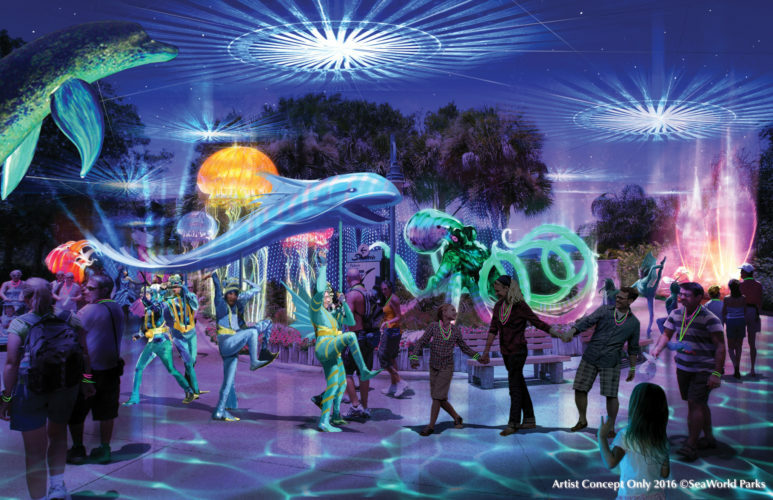 In California, SeaWorld San Diego will unveil Ocean Explorer, a new 3-acre area that combines multiple aquariums, rides and digital technologies. In the signature attraction for the realm, called Submarine Quest, guests will be adventurers on a global expedition of scientific exploration, travelling aboard submarines to see Ocean Explorer’s remarkable undersea animals. Embarking on these mini subs, visitors will become researchers on a mission to collect data and learn how they can help protect animals. This three-minute experience will include an onboard digital navigation dashboard, as well as a few other surprises along the journey, enhancing the riders’ understanding of our fragile ocean ecosystem. The heart of Ocean Explorer will be a series of undersea research bases housing specially-designed aquariums and interactive activities displaying unique as well as elusive ocean animals like giant octopuses, huge spider crabs and dozens of moray eels – some of which have never been seen at the park before. 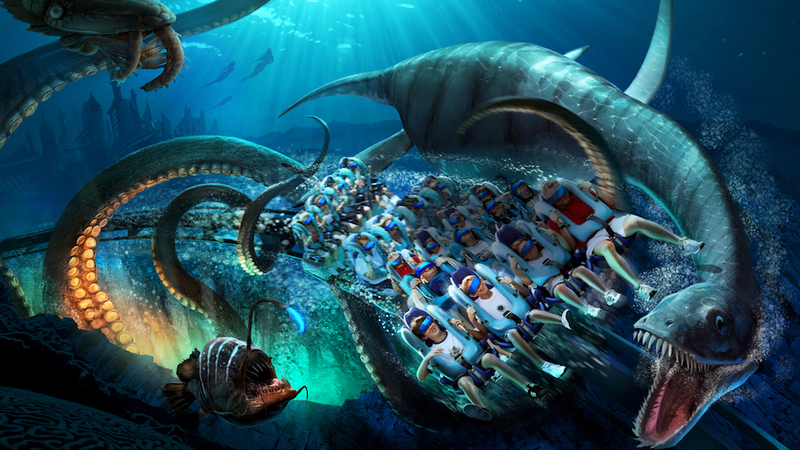 Learn more about SeaWorld San Diego’s Ocean Explorer expansion here. SeaWorld’s anticipated new killer whale experiences will also be introduced first at SeaWorld San Diego in summer 2017, focusing on natural orca encounters rather than theatrical shows. These programs will focus on orca enrichment, exercise, and overall health and will start in San Diego next year, followed by Orlando and then San Antonio by 2019. The new Orca Encounter will be based on killer whale behavior in the wild: what they eat, how they hunt, how they navigate and how they communicate, helping guests gain a deeper appreciation and respect for the orcas and empowering them a sense of determination and purpose to help preserve the future of these majestic animals. This new encounter will have the feel of a live documentary and look at broader themes such as research, rescue, conservation, habitats and distribution, husbandry and care, and social structures. Lastly, a new wooden roller coaster, InvadR, will join Busch Gardens Williamsburg’s collection of thrill rides. The family thriller will be the park’s first wooden coaster and eighth roller coaster in total. InvadR’s wooden track will be supported by a steel structure, giving riders the stability of steel supports with the classic feel of a wooden coaster.